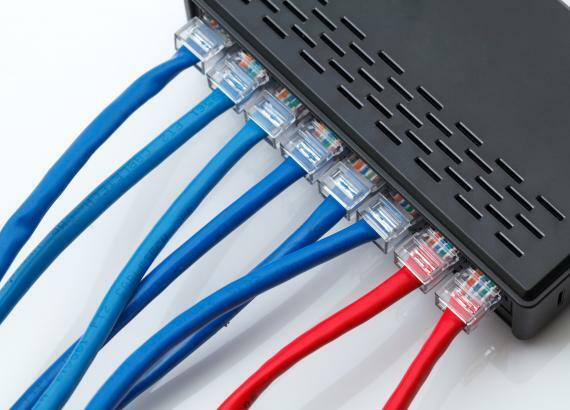 Shopping for a router that meets the demands of your home network can be intimidating. Many routers seem to have similar specifications, and it’s hard to figure out which one will serve your needs better than the others. In this article, we’ll dive into two of the hottest routers offered by Netgear: The AC1750 and the AC1900. If you’re in a rush, here are the main reasons to purchase one router over the other. The AC1750 is a great offering by Netgear that’s packed with features that make it perfect for online gaming, streaming, and getting access in areas where there are a lot of other wi-fi networks. The AC1750 also has great parental controls and an extensive amount of home automation support. The best parts of the Netgear Nighthawk AC1750 are its prioritized bandwidth features and quality of service features, each of which ensure that video game and video traffic receive a higher priority. This means that you can very easily play games and stream music without disrupting someone else who only wants to browse the internet. Likewise, if your household has four or five inhabitants, the router won’t have any trouble maintaining connections for each person’s mobile phone and computer. If your house has more than six or seven inhabitants with multiple pieces of hardware, you’ll probably still be fine with this router. The router also has great signal strength and an admirable 1750 Mbps maximum speed. 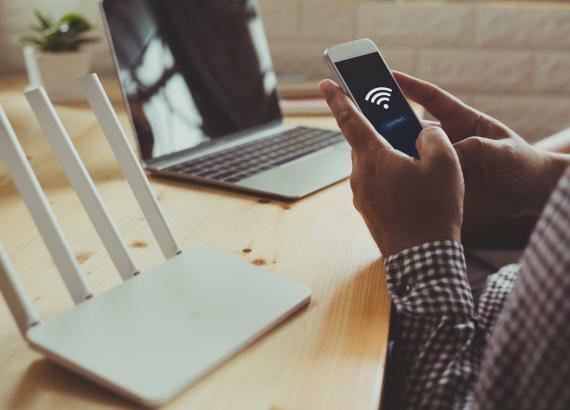 This means that it’ll be extremely hard to get the most out of this router unless you’re paying for a very fast internet connection; it also means that your router will never be the rate limiting factor on your internet speed. Compared to other routers on the market, the AC1750 is a beast and is widely recognized as one of the strongest entries that you can buy. Though the three finlike antennas and spaceship-reminiscent shape make the router a bit of an eyesore, the power and value of the router are undeniable. If you plan on using the router as a LAN hub as well as a wireless hub, you’ll find that there are four ethernet ports which you can plug into without trouble. The ports are on the back of the router, which is a stylistic choice that can make attaching new wires more difficult at times. The router also comes with VPN support and the ReadySHARE Vault PC backup software. Most people get their backup software and VPNs from elsewhere, but if you don’t have either of these the AC1750 could provide them for you. These features are definitively afterthoughts in the router’s package, however, so be advised that you may not get the smoothest experience. If you’re interested in using your router as your modem, you can purchase the AC1750 modem router variant instead of the default package. Like the standard Nighthawk AC1750, the AC1750 with modem is an excellent smart router that plugs and plays without any trouble. You should be able to use the AC1750 with nearly any ISP. Be sure to check your ISP’s list of approved routers before purchasing the AC1750 to be sure, however. The router’s firmware is average, but you’ll be able to set it up extremely quickly. Getting the most out of the router’s more advanced features will require a bit of futzing around and getting the remote access functionality to work will be an uphill battle. The AC1900 is the newer and more powerful brother of the AC1750. The Netgear Nighthawk AC1900 shares the same form factor and most of the same internal components as the AC1750, but it’s newer and has a few important features which make it a stronger router overall – but these features might not be important for everyone. If you live in a big household or large property with a lot of home automation devices, it might be worth opting for the AC1900 instead of the AC1750. The AC1900 should handle dozens of different connected devices without a hitch. The AC1900 has all of the great gaming, and streaming features of the AC1750, except it also has even more advanced quality of service features to promote stability during gaming or streaming. Like the AC1750, the AC1900 prioritizes packets from online games or streaming movies. The connection quality of the AC1900 is excellent, and with the 2.4 gigahertz and 5 gigahertz channels, dealing with signal interference in densely populated areas won’t be a problem. The router makes it easy to delegate certain channels for certain applications. For instance, a popular configuration is to have the home’s automation features and the inhabitants’ mobile phones connect to the 2.4 gigahertz channel, whereas people’s main computers connect to the 5-gigahertz channel. Parsing the traffic in this way isn’t automatic, but the AC1900 makes the distribution of traffic a non-issue; you’ll never have to worry about whether something is hogging bandwidth and slowing down more important real-time things. The impact is huge. You’ll never have to worry about your gaming session or movie being interrupted by your slow router again. This router is lightning fast, at 1900 Mbps. The extra speed over the AC1750 probably won’t be noticeable for most applications, however. The AC1900 is a future-proof router in the sense that it will be competitive with other routers for at least the next five or six years. It’s possible that this will even extend as far as ten years, depending on the pace internet speeds increase. The same can’t be said of the AC1750, which doesn’t have the bleeding edge of quality of service features. The main point which might prevent the AC1900 from scaling indefinitely into the future is its firmware, which is optimized for the operating systems of today. As far as the firmware of the AC1900 goes, it’s a bit better than the AC1750’s in the sense that it can accommodate remote access more gracefully. The setup of the AC1900 is as easy, however. Likewise, the parental control features and user account creation are as powerful as the AC1750. The AC1750 is the best for people who have small households and a minimum of household automation hardware. Though it’s more than capable of serving larger areas and quite a few household automation connections, it’s not as good as the AC1900 when it comes to these applications. If you’re only intending on using your router for streaming, downloading, and browsing, the AC1750 is more than sufficient. The quality of service features that are currently implemented are extremely effective at providing a speedy and stable experience that won’t leave you hanging or crash when you need it the most. The mobile optimizations of the AC1750 are more or less the same as the ones on the AC1900, which means that with either router you’ll have a fast and smooth mobile experience. The same is true of the parental controls, though the remote access capabilities of the AC1900 are easier to set up. As such, if you plan on remotely accessing your router frequently to make changes or test new settings, the AC1900 is probably a better choice for you. If you would rather set and forget your router, the AC1750 is as good of a choice. If you plan on doing a lot of online gaming or have a large household with an extensive number of home automation features, you should opt for the AC1900. The AC1900 has the edge when it comes to both speed and quality of service enhancement features, both of which benefit gaming disproportionately. Likewise, the AC1900 is built to be native to home automation and the internet of things. You will have a very hard time hitting the connection cap of this router because of how powerful it is. Ultimately, the verdict is that the AC1750 is better for most people, but the AC1900 is the better long-term choice. The AC1900 will have its minor software issues worked out as it gets older, and its hardware is better than the AC1750’s.